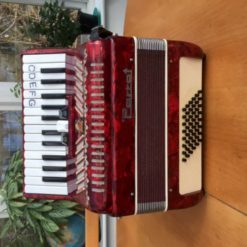 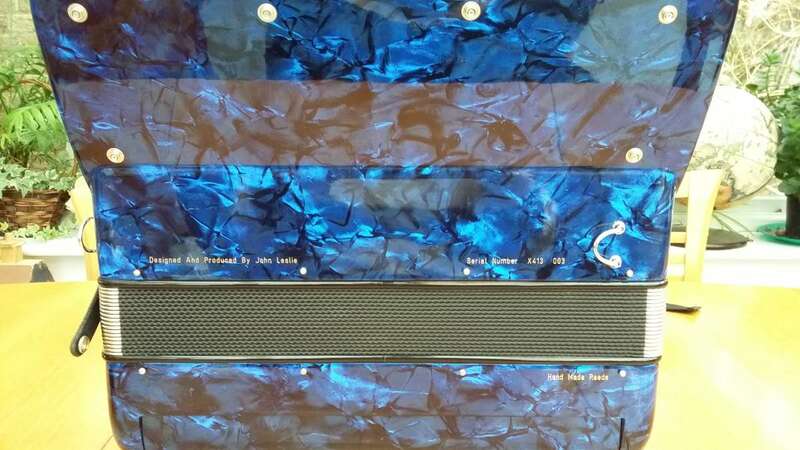 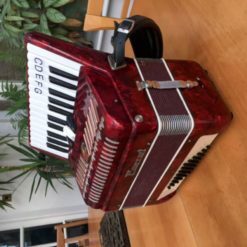 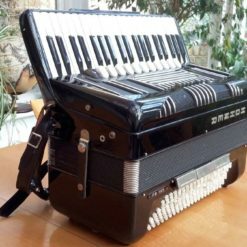 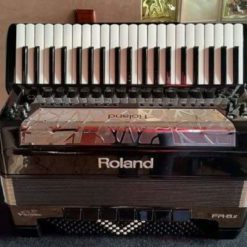 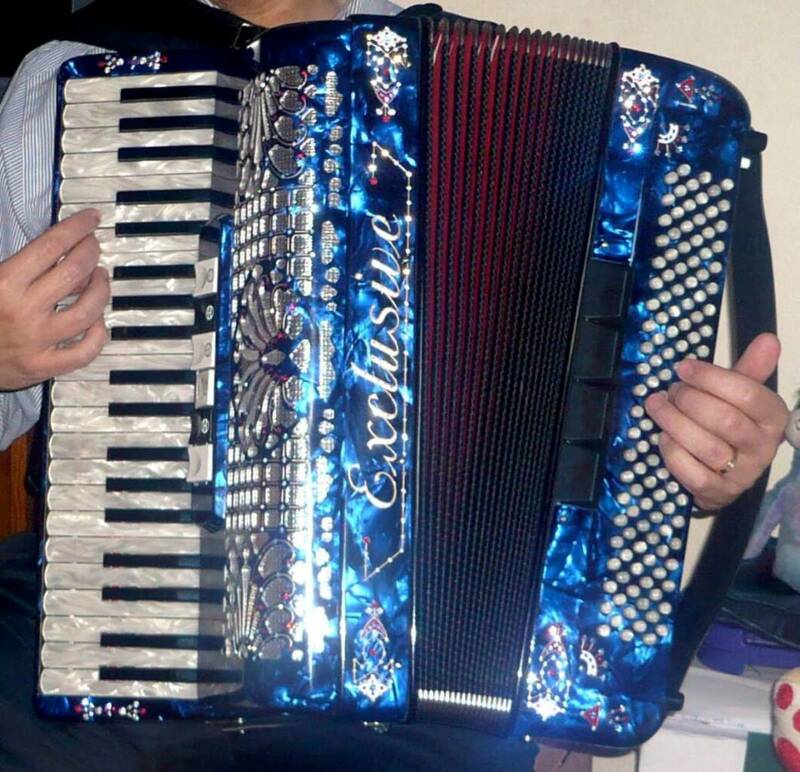 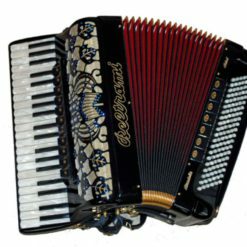 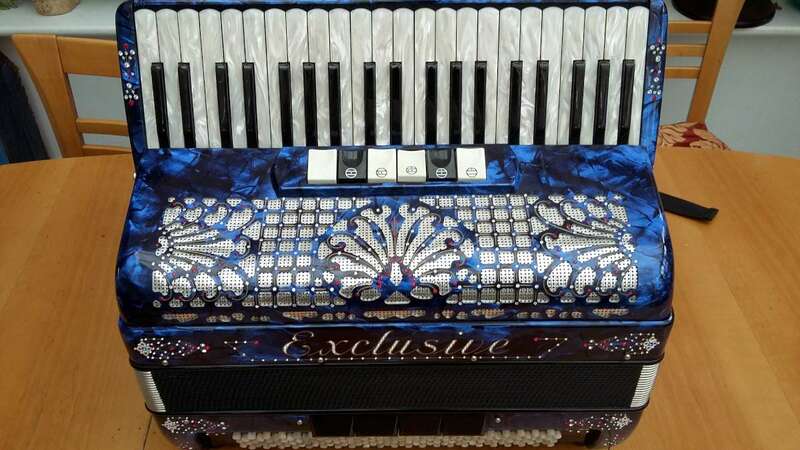 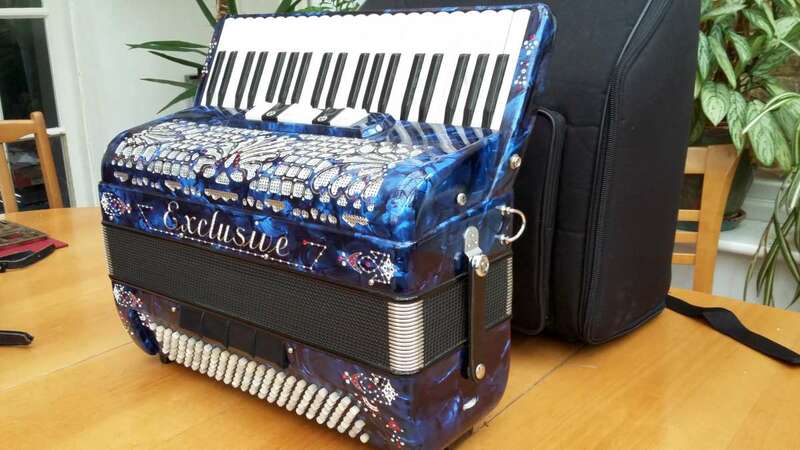 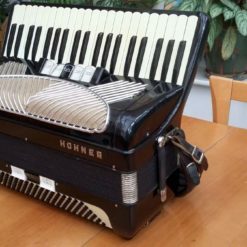 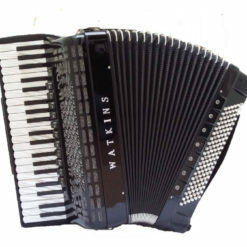 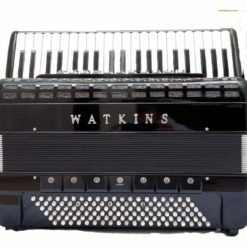 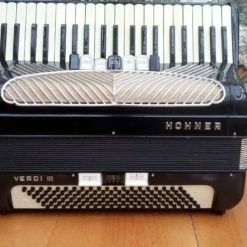 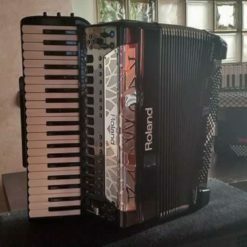 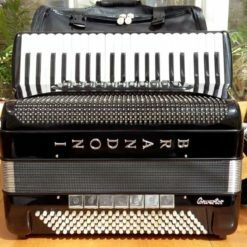 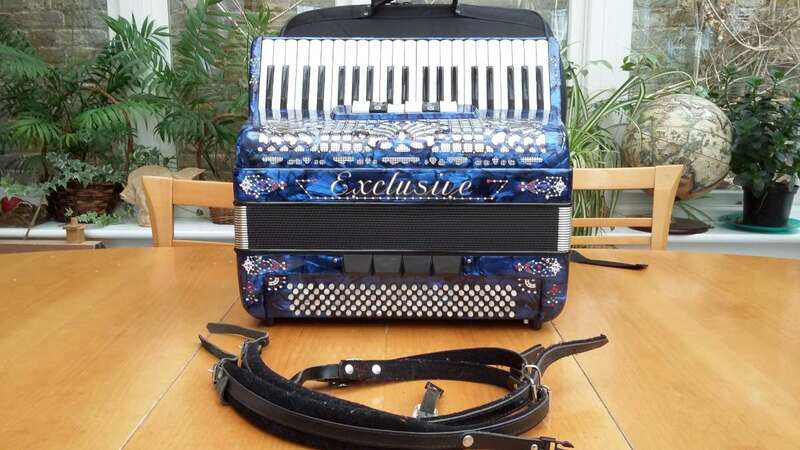 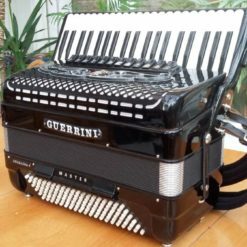 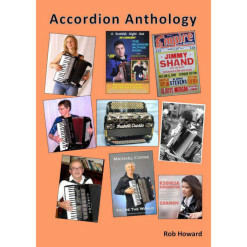 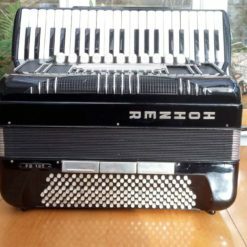 A 41-key/132-bass Exclusive accordion designed and produced by the late John Leslie. 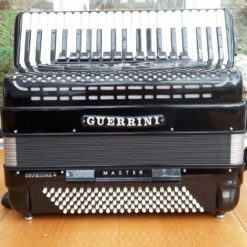 Built in the Italian town of Castelfidardo, this is a lightweight instrument with 3 (16’+8’+8′) sets of treble reeds and 4 in the bass. 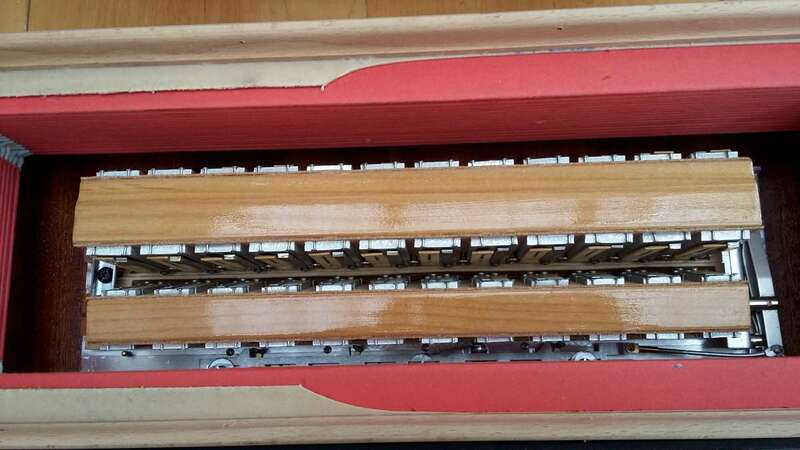 It features the hand made reeds and has a tremolo tuning on the two 8 foot sets of reeds. 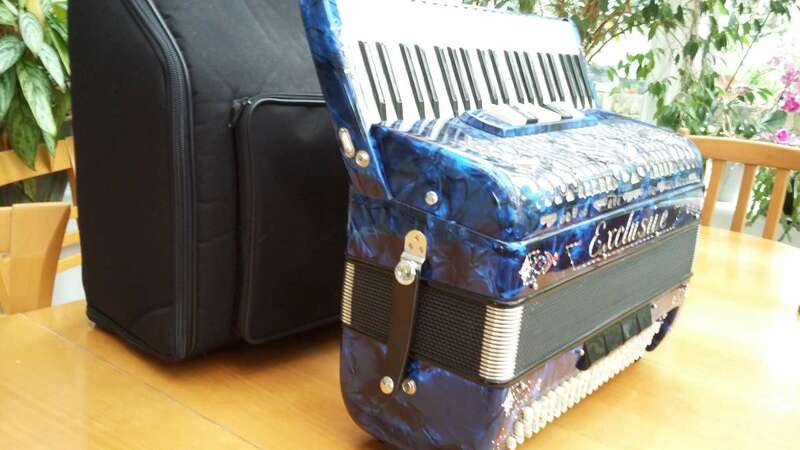 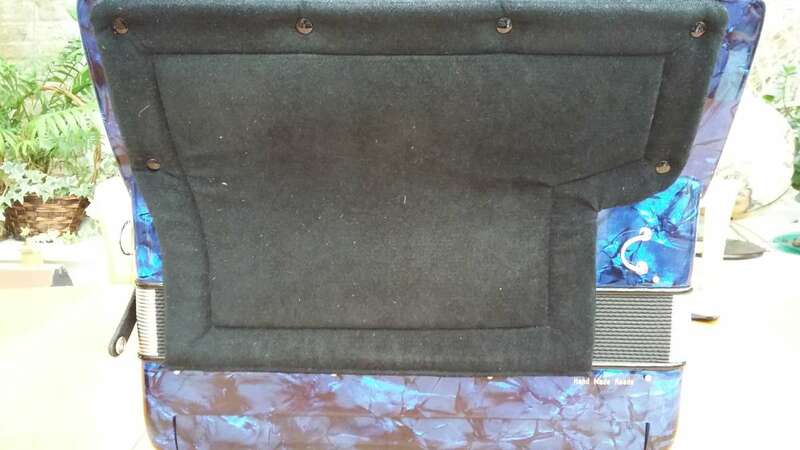 The instrument boasts 132 bass buttons. 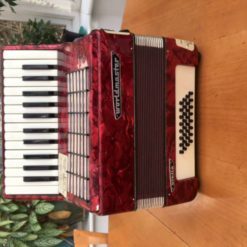 This instrument is in very good condition and has had one careful owner. 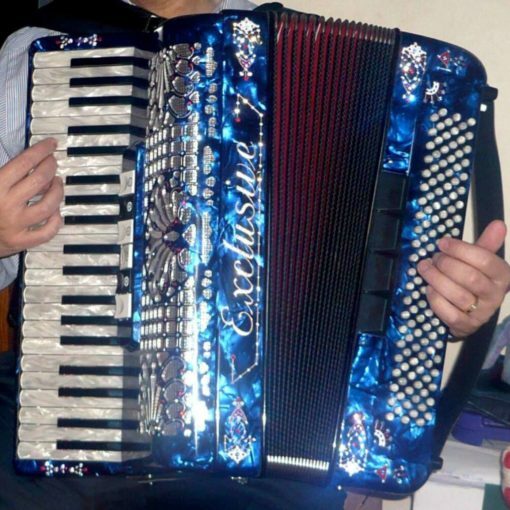 Finished in a very attractive and popular blue. 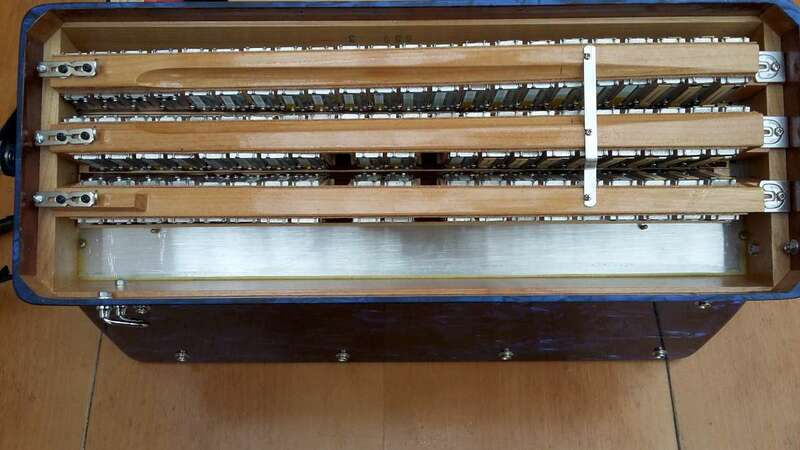 One of the right hand and one of the left registers is silent to enable the eventual addition of Midi should one wish to add the facility to the instrument. 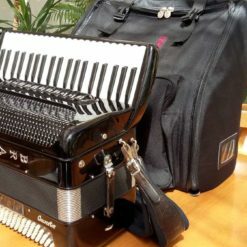 Soft gig bag and shoulder straps included.